Fiery taste with some real garlic heat! 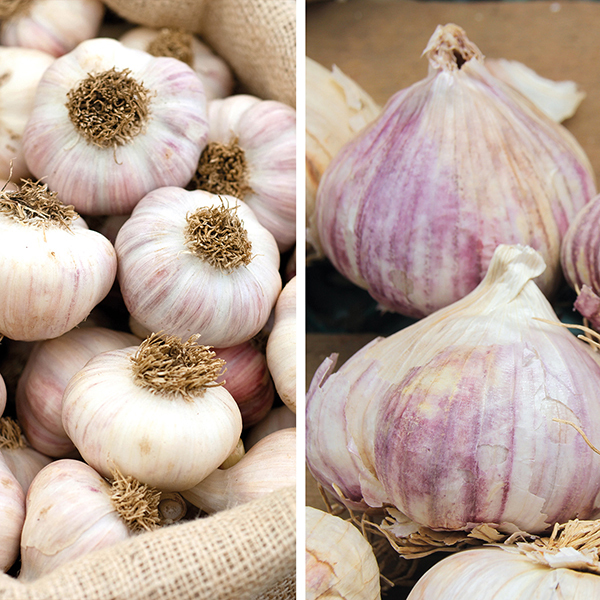 Coming from the north of Bohemia (close to Prague), the bulbs are of a creamy appearance and produce large cloves, slightly purplish in colour. Stems are tall and straight and the leaves can be over a meter high! Excellent keeping qualities too. From the pretty Moravian town of Mikulov, the violet coloured bulbs are very large and juicy with a fine, spicy flavour. Strong in habit with large leaves, we’ve found this garlic keeps very well.